Existing ActivityTools customers will need to follow the upgrade-path mentioned below in order to upgrade an existing ActivityTools installation to the latest version (2015.115 or higher). Please follow the steps carefully to avoid complications. 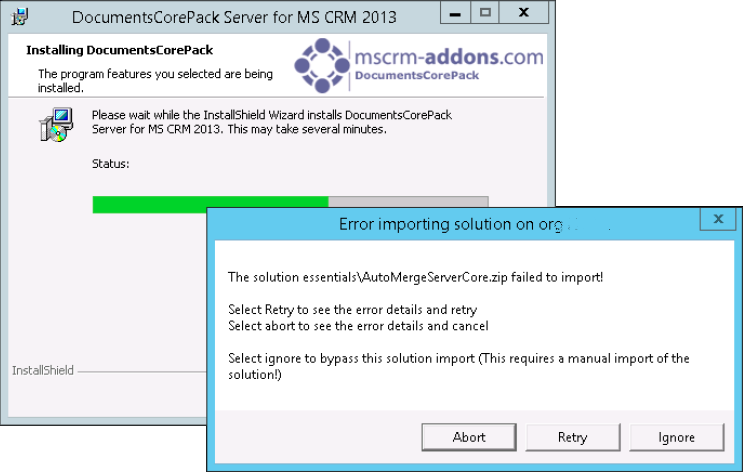 Sometimes it could happen that you receive the following error message when you upgrade your DocumentsCorePack Server. We are very excited about the new CRM 2015 release and would like to provide you with some important information. Our team spent some extra working hours to get our addons ready for MS CRM 2015!